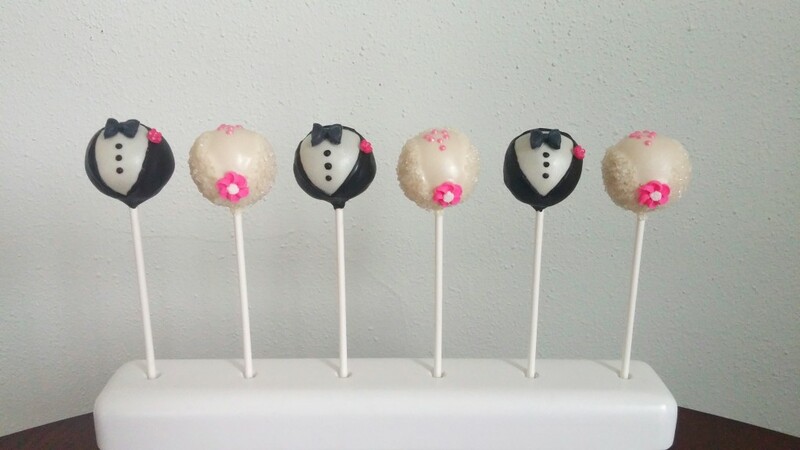 These gorgeous Bride and Groom cake pops include 6 brides and 6 grooms each with a flower color of your choice. They are one of our more popular purchases and commonly used for announcing your engagement, celebrating a bridal shower, or as favors for guests at their table or on a wedding dessert table. 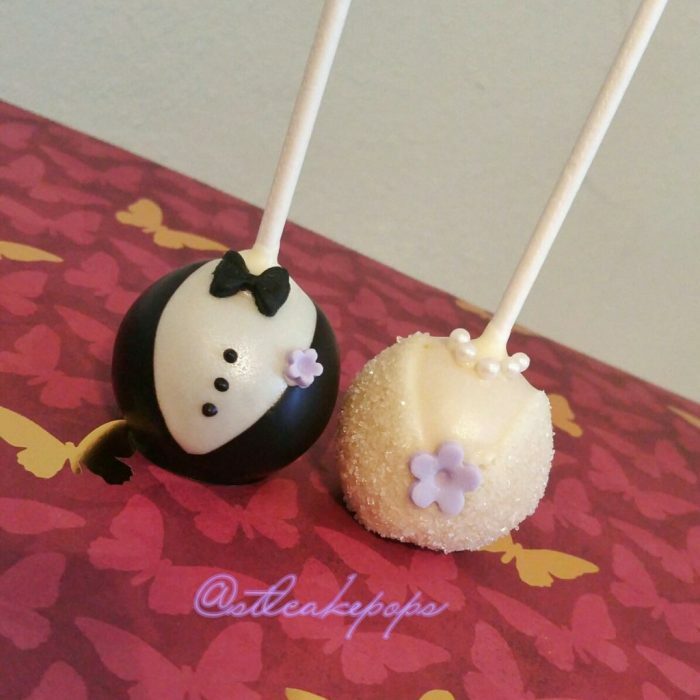 These gorgeous Bride and Groom cake pops include 6 brides and 6 grooms each with a flower color of your choice. 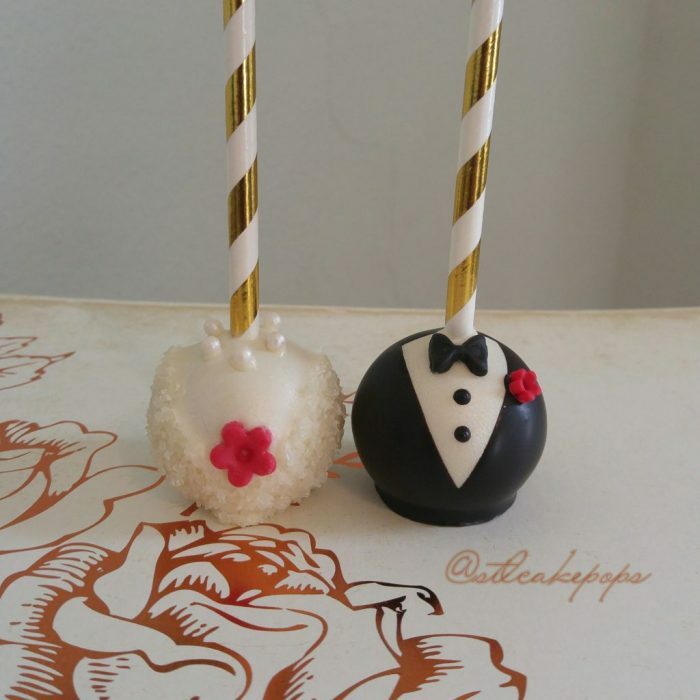 They are one of our more popular purchases and commonly used for announcing your engagement, celebrating a bridal shower, or as favors for guests at their table or on a wedding dessert table. 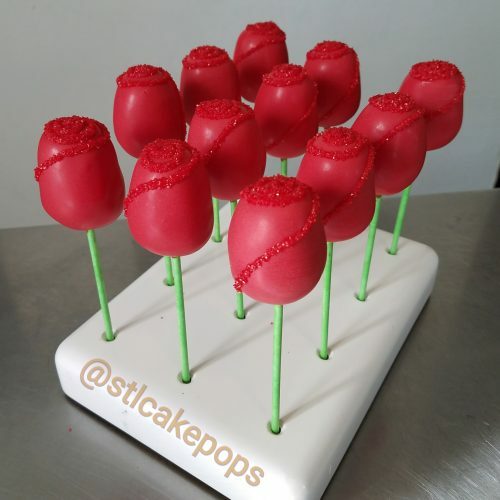 When placing your order, you can select from our standard flavors and choose a custom color for your flowers. 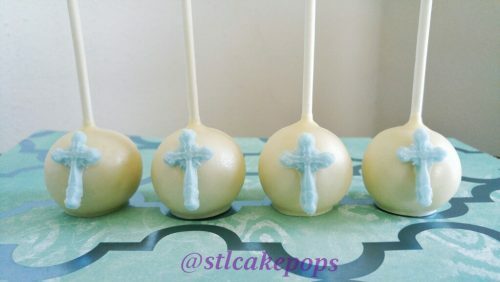 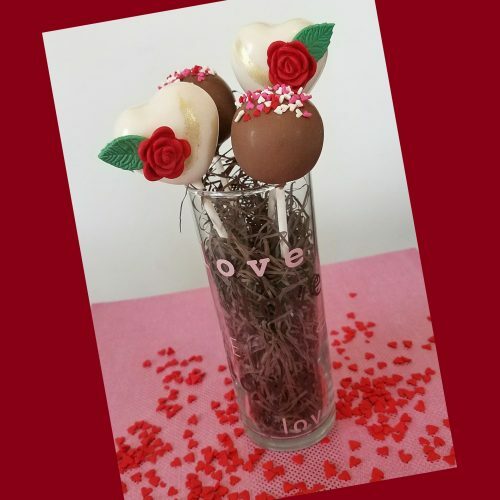 If you need a large quantity (for a shower) please use our Custom Cake Pop Order Form. If you want to place an order for your Wedding, please visit our Wedding Page to review our process for dessert buffets. 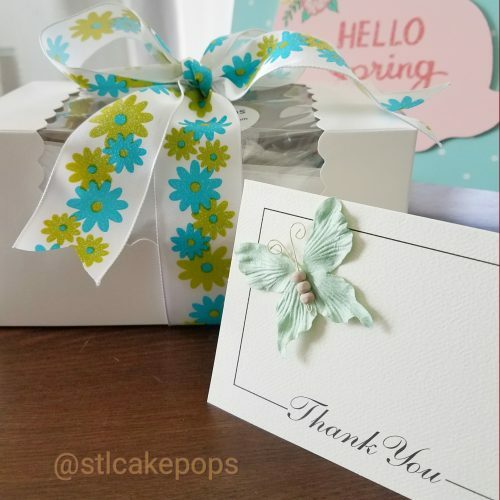 Local Pickup: Once the order is complete, we will contact you to schedule a time/date for pick-up at our St. Charles location. 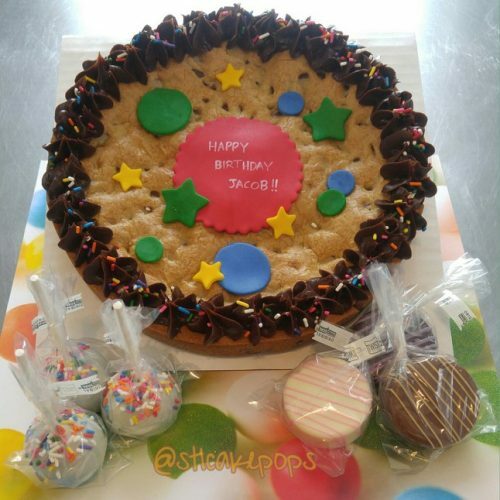 *The shipping cost listed is for Standard Ground shipping. 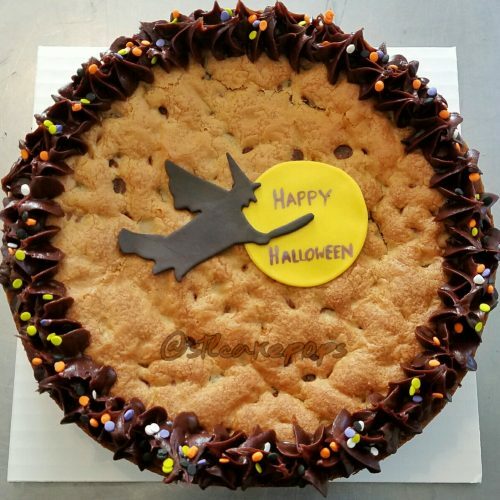 *Warm weather – if your location is 70 degrees or warmer, we recommend Next Day shipping with dry ice – for this option, please contact us directly for the cost. 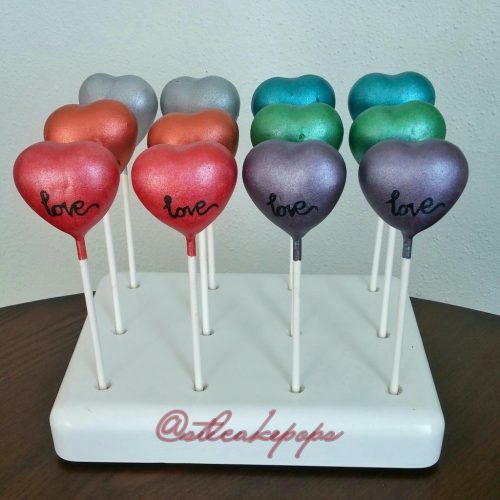 To order custom quantities or flavors from our Specialty Menu, please use the CUSTOM CAKEPOP ORDER FORM. 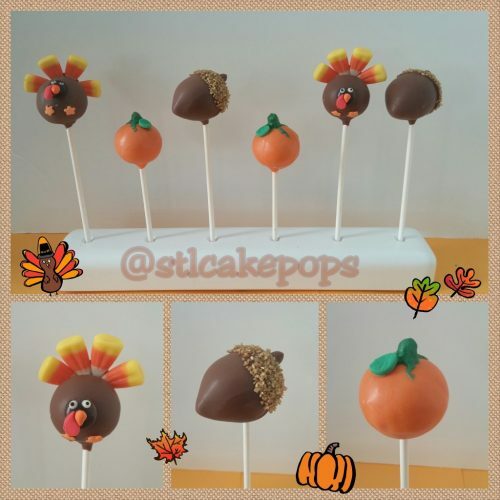 If you have any questions or special requests, please call the store at 636.328.3922.